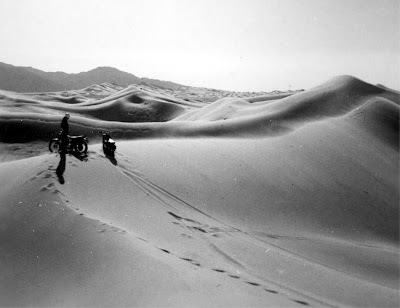 I am indebted to the Jockey Journal site for this find, a Flickr album of photos built by a man whose youth off-road in California with his dad was well documented in beautiful black-and-white and color pictures. 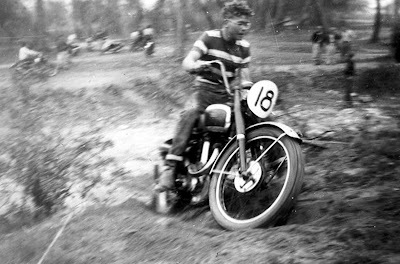 I couldn't find their complete story, but the dad's name was Bill Green and he apparently was a Yamaha dealer. 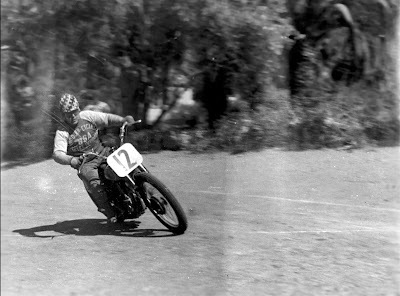 His first motorcycle was a 1949 James, however, and he and his friends had a BSA Goldstar, Triumphs, a Jawa and other great bikes along the way. 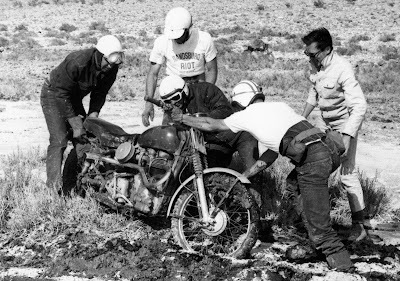 There's even a picture of a Royal Enfield, stuck in Panamint Lake in a 1960s competition. It's a big gallery. 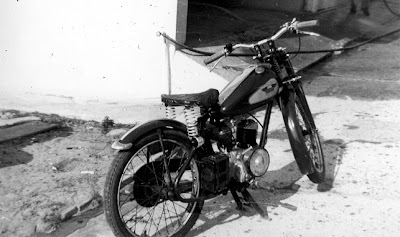 Many of the pictures show the bikes being loaded and unloaded for trips into the less spoiled spaces of the state in the 1950s and '60s. 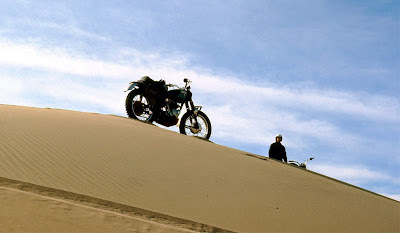 The son laments the treatment bikes that would be museum pieces got in the dunes and rocks off road. 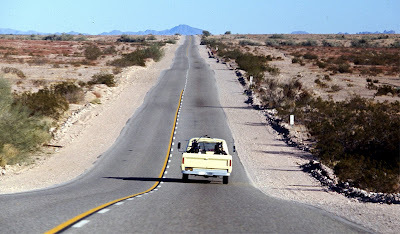 In those days, an outing with the bikes meant just throwing them into the bed of the pick-up truck. Old tires were dropped in between the bikes to keep them in place. The pictures I've selected are just samples of the beauties you'll see in this gallery. Take a look for yourself.